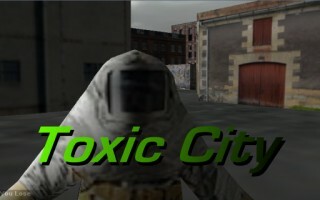 ToxiCity is a first person shooter which pits you against a hazmat team trying to clean up the city. You like the mess. Read more. To become a corporate sponsor of toxicity and have your logo strewn about, contact us here. Tunnel Project is a not so realistic simulation of government waste. Read more. To become a corporate sponsor of the Tunnel Project and have your logo included, contact us here. 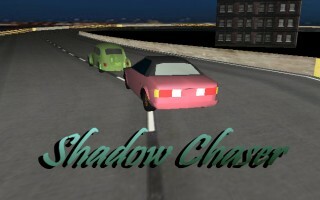 Shadow Chaser is an urban legend about a disgruntled DOT worker who high on paint fumes drove his VW bug off the I-10 bridge deck. Now he haunts the city street at night looking for victims to drive off the same section of road. Read more. If you would like to be a corporate sponsor for Shadow Chaser and have your logo included in the release, contact us here. 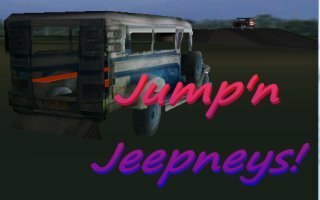 Download Jump'n Jeepneys and show your pinoy pride by racing jeepneys on a dangerous obsticle course. Read more (+video). If you would like to be a corporate sponsor for Jump'n Jeepneys and have your logo included in the release, contact us here. 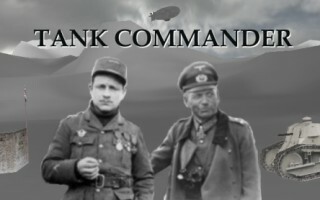 You are a Tank Commander in an unspecified World War. Your job is to guide an elite force in defending a rural village. This is our first release using Voice Controls. (Good luck! )Read more. If you would like to be a corporate sponsor for Tank Commander and have your logo included in the release, contact us here. 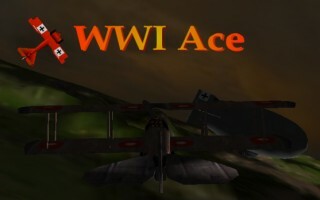 Download our favorite WWI Fighter Ace and enjoy some aerial acrobatics. In this title you are World War I flying ace Nigel Puffbottom. Your mission is to save the Queen's island from foreign invaders. Read more. If you would like to be a corporate sponsor for World War I and have your logo included in the release, contact us here. 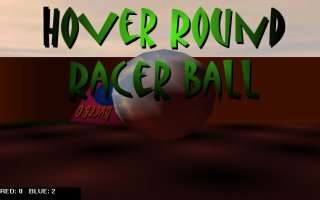 Download Hover Round Racer Ball and kick the crap out of an aging Gary Numan in this classic Blazer Ball rip-off. Read more. If you would like to be a corporate sponsor for Hover Round and have your logo included in the release, contact us here. 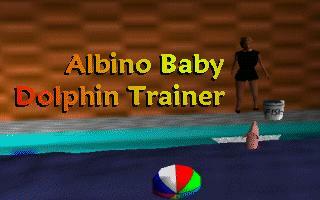 Download our favorite release Albino Baby Dolphin Trainer and help Roughfish World train their star attraction Flinky the freakish baby albino bottlenose. Read more. If you would like to be a corporate sponsor for Flinky and have your logo included in the release, contact us here. The owner of Roughfish World cordially invites you to his palacial estate. But wait it is a trick. Can you escape by assembling the password? Enter Castle Schunkenstien and if you dare. Read more. 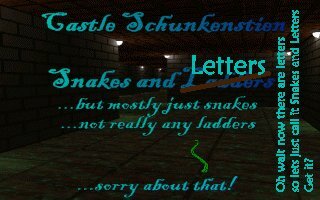 If you would like to be a corporate sponsor for Castle Schunkenstien and have your logo included in the release, contact us here. Roughfish World is big on supporting alternative energy. That is why we created Solar War 3D to help educate children on the need to fight over these alternative resources. Read more. 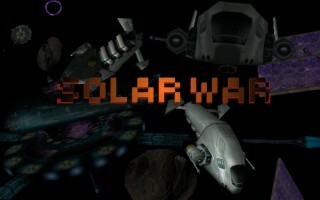 If you would like to be a corporate sponsor of SolarWar and have your logo included in the release, contact us here. Move over Biathalon the Winter Duathalon is the new kid on the block. See if your skills can match Boris Szvehntski the reigning world champ. Read more. If you would like to be a corporate sponsor for Duathalon and have your logo included in the release, contact us here. 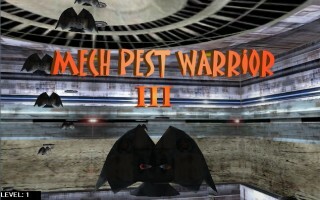 Now with dangerous firing pistons Mech Pest Warrior III will scare the bajeebers out of your those nasty mechanical insect thingies. 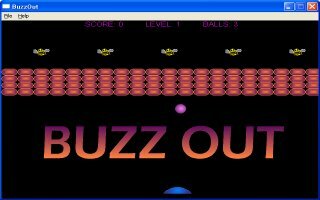 In this title you guide a jumping mechanical anti-bugbot through a series of platforms. Your mission is to reach the top of the stadium before the bad bugs bump you off. Read more. If you would like to be a corporate sponsor for Mech Pest Warrior and have your logo included in the release, contact us here. 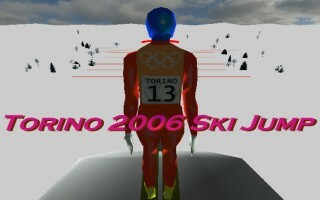 Ahead of schedule on its first release Torino 2006 Ski Jump is definitely behind schedule on this sequel. You are Nigel Puffbottom III hoping to rekindle the glory of your family name at the 2006 Winter Olympics in Torino. Read more. If you would like to be a corporate sponsor for Torino 2006 Ski Jump and have your logo included in the release, contact us here. 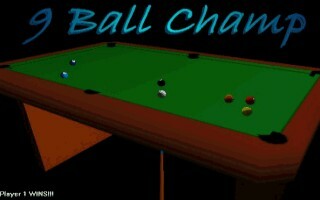 Do you have the skills to be the next 9 Ball World Champion? Probably not but you can still have fun playing pool. Read more. If you would like to be a corporate sponsor for 9 Ball Champ and have your logo included in the release, contact us here. Do you want the mind numbing repetition of Tetris combined with the brain scrambling frustration of Sudoku? Then you want Kulay-Doku! You find yourself on a remote island in the south pacific. Try a logical puzzle to pass the time. Read more. If you would like to be a corporate sponsor for Kulay-Doku and have your logo included in the release, contact us here. 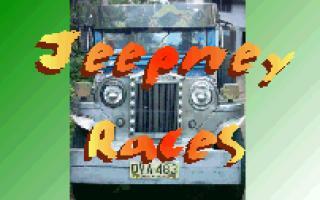 Show your Pinoy pride by demolishing the competition in Jeepney Races! You find yourself on a remote island in the south pacific. You might as well races jeepneys. Read more. If you would like to be a corporate sponsor for Jeepney Races and have your logo included in the release, contact us here. Dalek Arena Football resurrects the great Apple II game "PUNT RETURN" only this time you are K9 and the opponents are Daleks. You get 4 downs to score a touchdown or kick a field goal. If you don't score the game is over. Use the mouse to run and right click to kick. Read more. 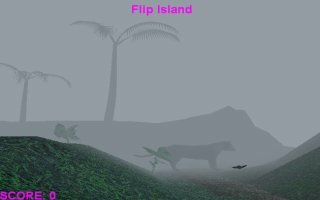 Are you ready for Flip Island? You find yourself on a remote island in the south pacific. You will need all your wits to survive the dangers of island life. Read more. If you would like to be a corporate sponsor for FlipIsland and have your logo included in the release, contact us here. Download Dalek UK Road Rally the craziest road racing this side of a Burt Reynolds movie. Read more. If you would like to be a corporate sponsor for Dalek road racing and have your logo included in the release, contact us here. You will need DirectX 9.0b from Microsoft to run the following game. Dalek Indoor Soccer brings the excitement of the world's #1 sport to a world of robotics?!? Need I say more? Well, yes... Use the mouse to run and the space bar to kick. Here is a standard brick-out game we think you'll get a buzz out of. Elfin Invasion:The elves at Roughfish World Software have been working overtime to get this one done by Christmas. Like Space Invaders only you move by singing xmas songs!Read more. Karaoke Hero: We outsourced our latest shoot-em-up and got this Karaoke Player instead! We couldn't get any answers from their support center so instead we offer it here. You can record your singing and even have it critiqued by a Fast Fourier Transform. (Even tougher than Simon! )Read more. Here is a pack of Pyramid Games based on old apple II and pascal code. If you feel you own a patent on pyramids contact me here. If you believe your health has been restored by the electro-magnetic healing forces of the pyramid or would just like to read more click here. 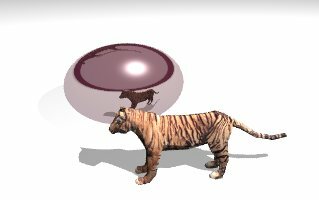 RoughRay:This is a simple Ray Tracing program. 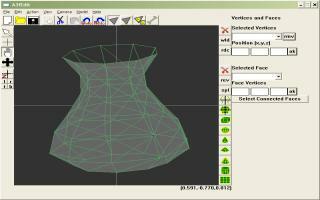 You write scripts to create 3d objects and animate them in a scene. If you have any questions just ask! Morph2:You didn't even know there was a Morph1! This little app will create animated blends and distortions between two images. 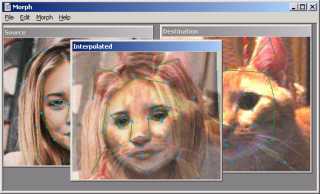 It even saves the animation to an AVI using any installed codec. Not alot of documentation for this one but if you have any questions just ask! 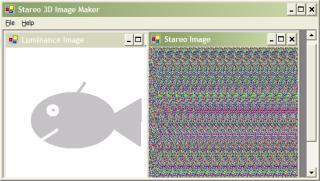 Stareo: Use this handy little app to create 3D images suitable for red/blue 3D glasses or those nifty images of random patterns that if stared at long enough produce a 3D effect. Make sure you send your artwork to me! Maud:Maud is a multi-track home recording studio. It has lots of built in cheesy effects and a drum machine. Maud works differently from other multi-track recording software in that it allocates memory for the whole song before recording. This means no disk drive noise or drop outs during recording. A3fEdit:Use this app to create 3 dimensional models. 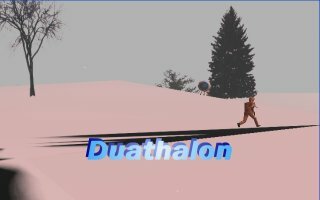 Edit the models in our games. There is now a tutorial but if you have any questions just ask! Animandel:This app creates 3D animations of the Mandelbrot and MandelBulb sets. Here is the help file or just ask! You can view samples here. 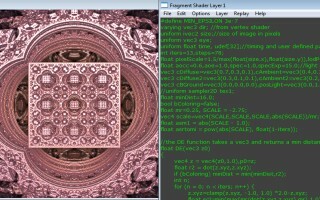 AnimandelPro:This app creates 3D fractal animations using an animation and glsl scripts. The "Pro" doesn't mean its a professionally done app. It just means you have complete control to crash your pc. Here is the help file or just ask! You can view samples here. BorderBuddha:This app creates 2D fractals by following the path of individual points as they go through Mandelbrot iterations. You can view samples here. 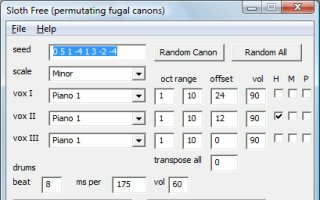 SlothCanon:This app creates fractal music that actually sounds like...MUSIC! It uses sloth canons which are repetitions of musical phrases at different speeds. You can hear samples here. MidiMe:MidiMe is a mini MIDI recording studio. You can plug in a MIDI device or just use the pc keyboard. It has a built in drum machine and can edit karaoke lyrics. Read more here. StripStream:Stick it to the man while recording any audio that plays on your pc. Read more here. Works with pre-Vista OS. Just use sound recorder after that. FXBox and GeneralMidi:Here are a couple of utilities to add to your home recording studio. FXBox is a simple effect generator tweaked to provide a quick response. GeneralMIDI turns your pc keyboard into a musical instrument with over a hundred voices. We don't give a damn who you are. But we do appreciate feedback. With our customer service hotline in the Philippines we have started this Tagalog tutorial. We couldn't resist following the blogging craze further tangling the net. There is a new photo album of original artwork!